Just what IS in that eggnog anyway? Such a fun item to have, especially around the holidays. 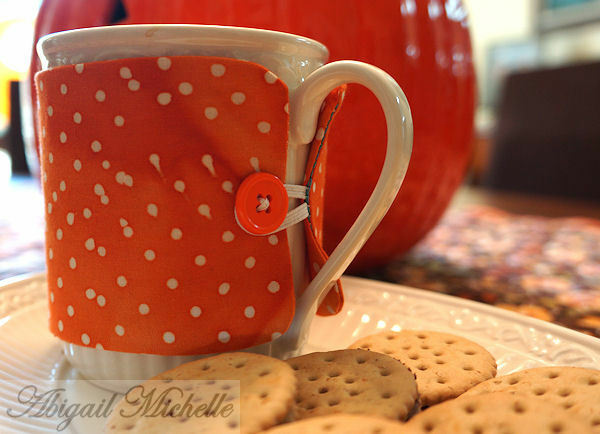 An easy way to dress up your cup. 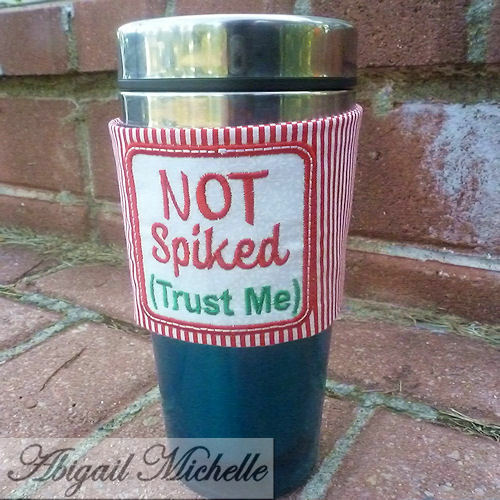 This fun cozy fits standard home coffee mugs as well travel mugs. Easy to make, full photo instructions included . Create many for gifts or craft shows. Fits the 6x10 hoop. Just what IS in that eggnog anyway? Such a fun item to have, especially around the holidays. 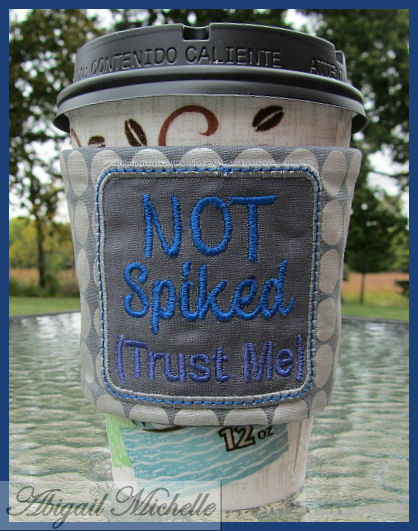 An easy way to dress up your cup. 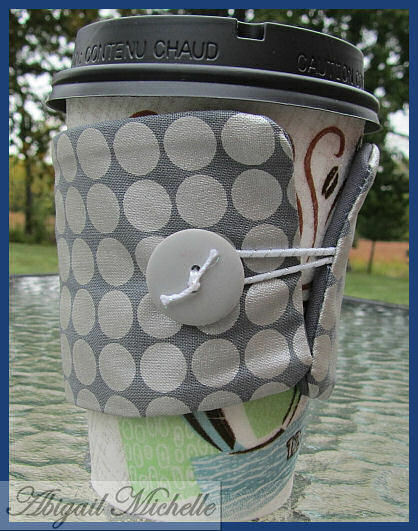 This fun cozy fits standard home coffee mugs as well travel mugs. Easy to make, full photo instructions included . 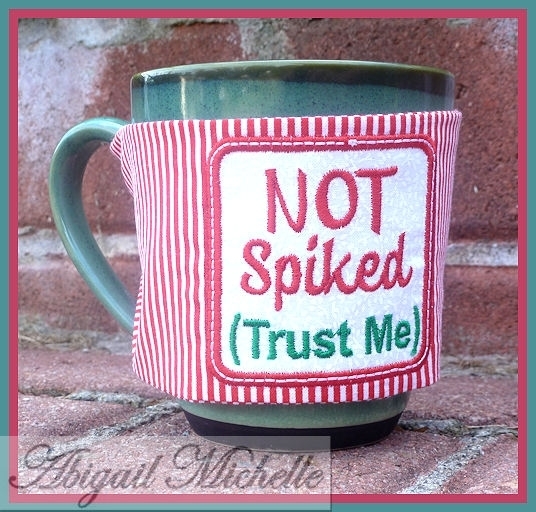 Create many for gifts or craft shows. Finish Size 10.02" x 3.02"